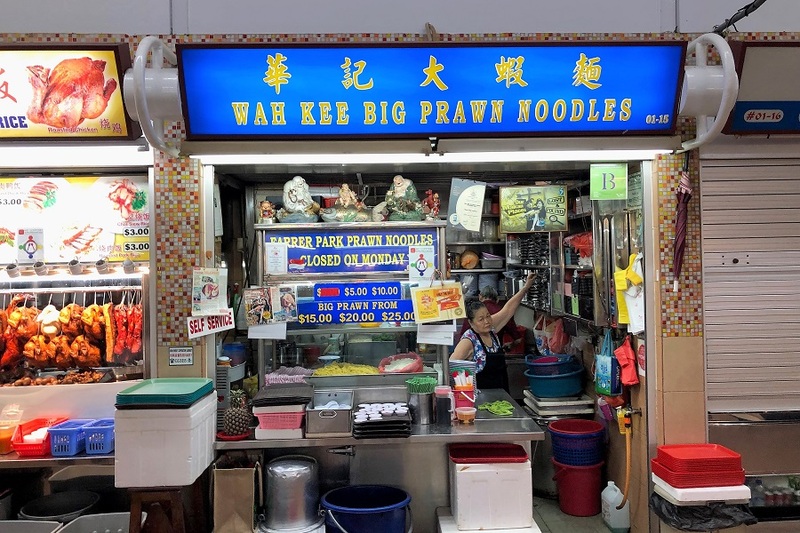 It is slightly unfortunate that Wah Kee Big Prawn Noodle at Pek Kio Market and Food Centre has become more ‘famed’ for a temperament owner, rather than its goods. 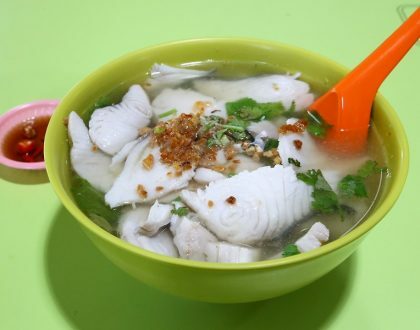 Just have a scroll through various review websites, and you would find countless feedback on the auntie’s attitude, especially if you do not queue behind a red line or ordered the cheapest bowl. 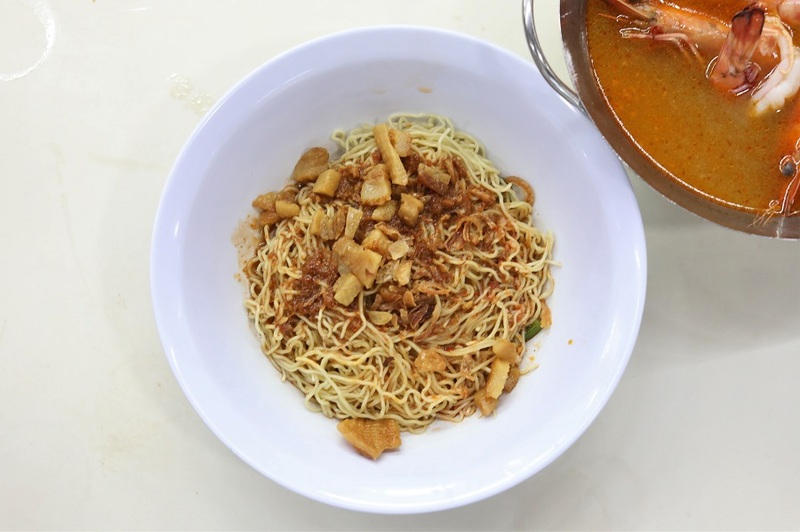 Instead, Lai Hiang Pork Rib Prawn Mee in the same hawker centre had a much longer line – which was not quite the same in the past (say 5-10 years ago). I went towards the stall, slightly cautious, and was definite in my orders without hesitation. To my very surprise, auntie was all-smiles and told me to sit down because it would be tired standing up. (Just in case you are wondering, I wasn’t holding a camera then. Could be because I ordered a $10 bowl?) I thought I should buy 4D that day then. 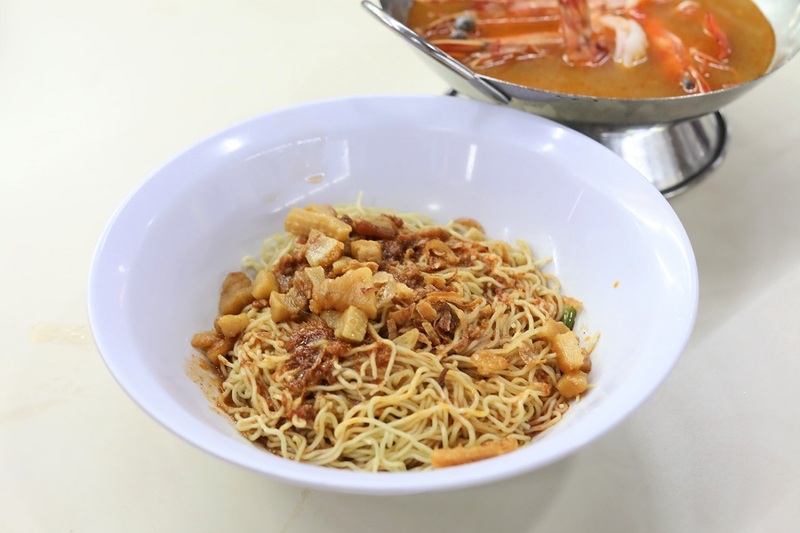 Wah Kee Big Prawn Noodles offers bowls of $5, $10, $15, $20, to $25. 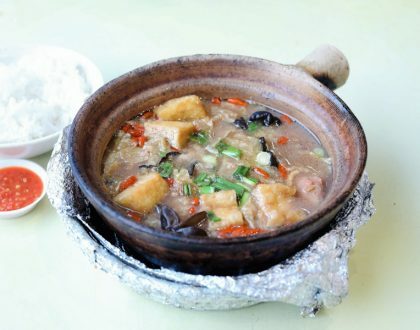 For first-timers, it is recommended to try at least the $10 option. 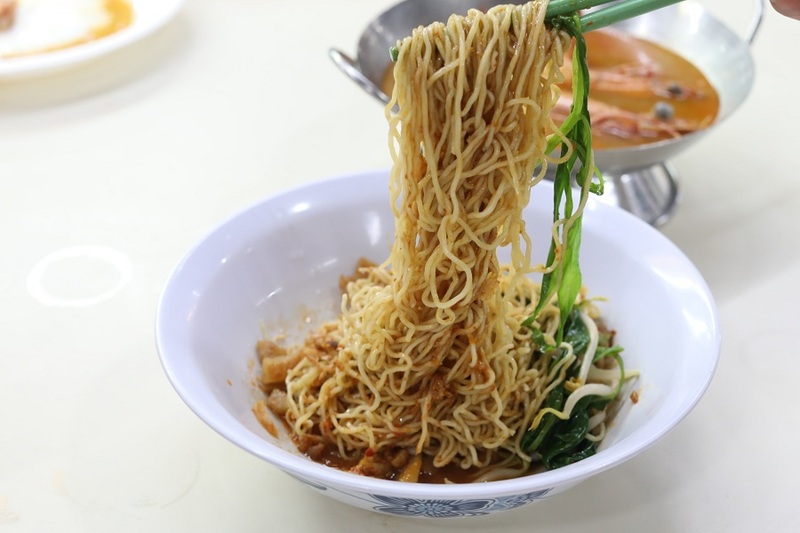 If I were to recommend, get the mee kia (thin noodles) dry. 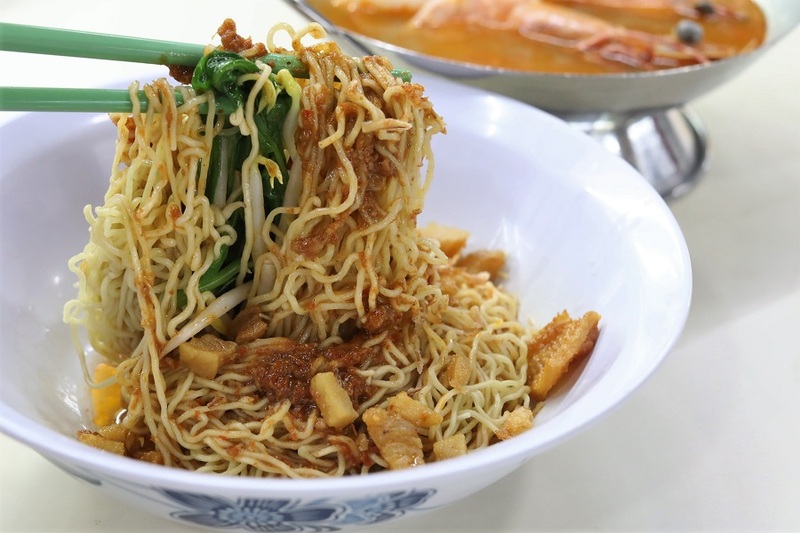 The noodles are specially made for Wah Kee, and all base sauces such as the sambal chilli sauce and special spicy sauce are made in-house daily, using Wah Kee’s 65-year recipe. 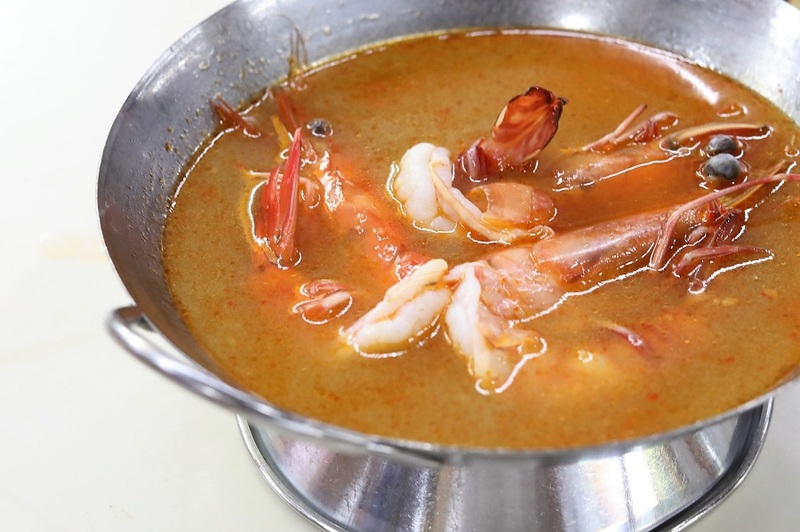 I enjoyed it for its texture, but remembered that it had a better mixture of sauces, more greasy with oomph. 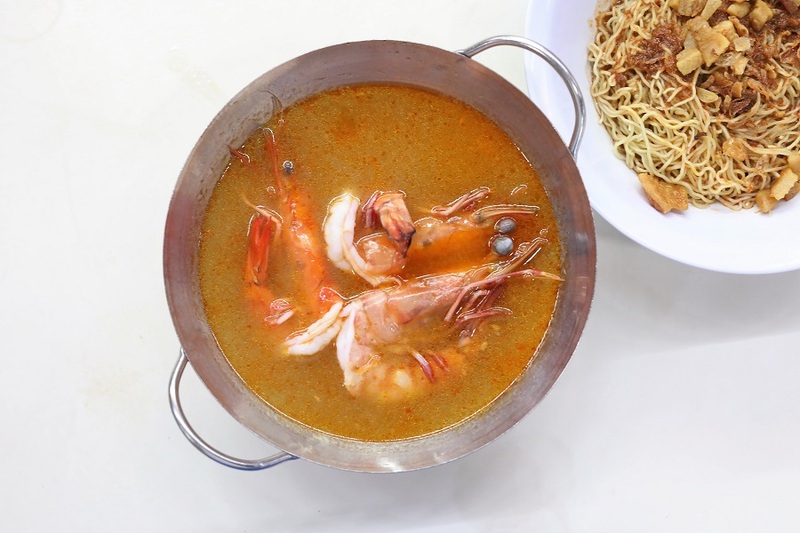 Interesting to note that they do not use pork in cooking the soup, and therefore the broth is lighter with an unique orange colour. 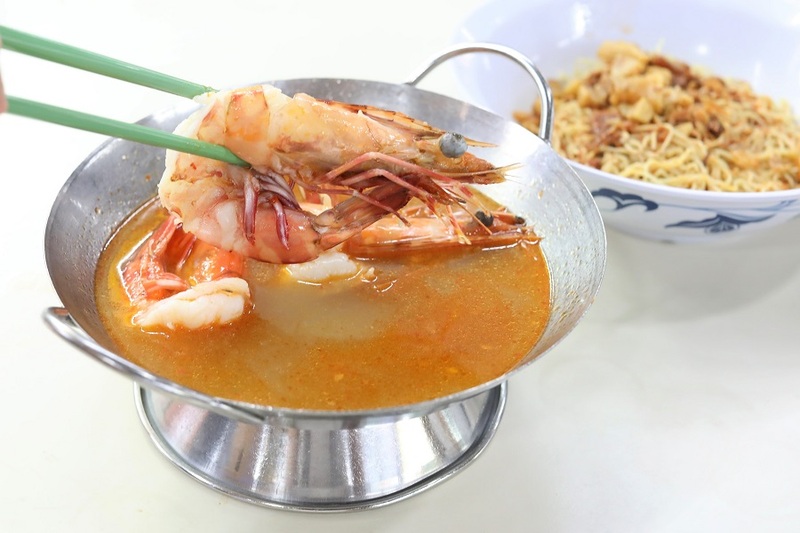 The prawns were large and fresh, soup was tasty and moderately robust in flavours – more intense than the average stall, but didn’t seem to be as rich and gao-gao (ie more diluted) as in the past. 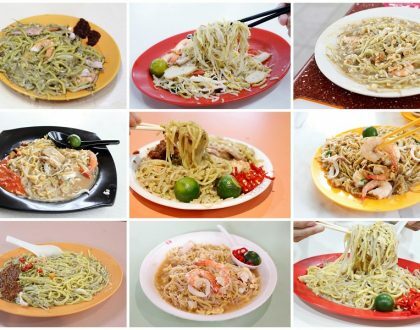 Personal preference, I am a mee kia person, and so Wah Kee is one of the few that offers a decent rendition of dry prawn noodles with mee kia. 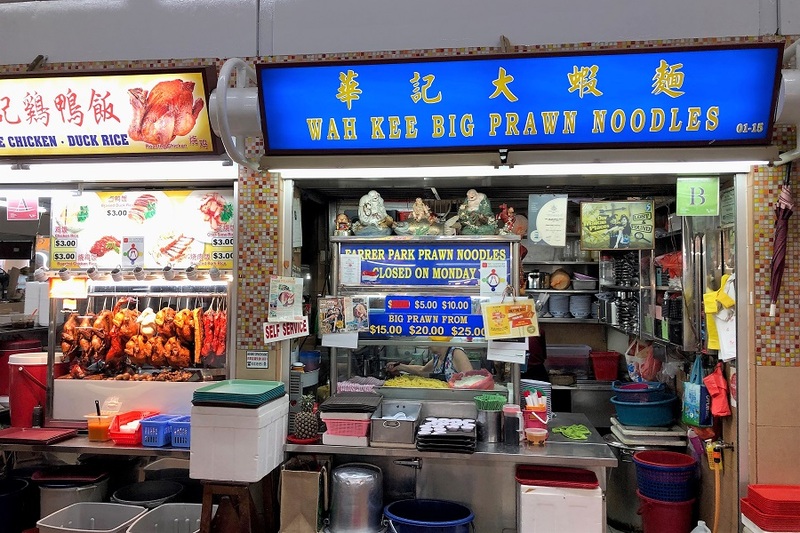 Many stalls do not even have this option. As to whether customers can bear auntie’s mood or not, I guess just smile at her, be polite, and see how it goes.